Happy Holidays to all! Tis the Season to stuff those stockings and watch people smile. At Affiliated Orthodontics we would like to share some stocking stuffer ideas to consider for patients of all ages whether or not they are wearing braces. Instead of candy and sweets that can bend wires and knock off brackets during holiday festivities, give something more suitable to make your season bright. For the ladies – Festive nail polish, or for teens and adults, the latest in jamberry nail or Incoco nail design wraps that are easy to apply, don’t chip easily, and last up to two weeks! Super Snow for the kids no matter what age. 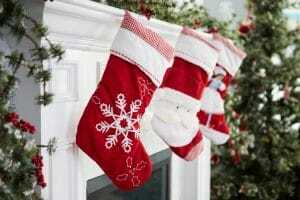 Also be sure to check out “Stocking Stuffers That Won’t Break The Bank” for some great ideas. Our entire Team at Affiliated Orthodontics wish you and your family happiness and joy this Holiday Season. Be sure to get out and do something you will remember and appreciate. Spend some time with your family and friends. But above all be grateful for all you have been given and all you have earned. We are very grateful to you, our patients. For without you we would not be here at all. So once again may we offer our most sincere Thanks for becoming part of our family. Happy Holidays to everyone! If you have a stocking stuffer idea you would like to share, leave a comment below. We would love to hear from you.